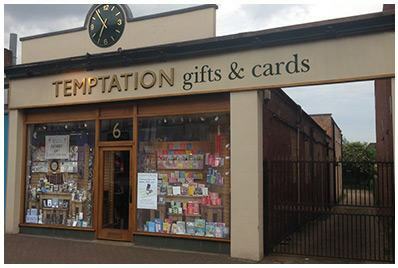 Temptation Gifts Ltd has six large town-centre stores in the Home Counties. The stores offer a selection of over 1,000 greetings cards in addition to the gifts you can find here online. We pride ourselves on providing friendly, personal service to each and every customer. 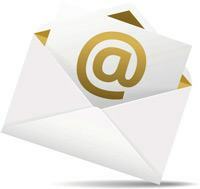 Sign up to our Temptation Amersham Newsletter and always be the first to know about our limited time offers, new products and other exciting news from Temptation in Amersham! Just complete the three boxes below to sign up! You can use the interactive embedded map to the right to see the exact location of the store. Map powered by Google Maps. Follow us on Facebook for the latest news and offers from our store! Amersham is a fabulous town for shopping, and Temptation sits right at the crossroads of the two main shopping streets, Sycamore Rd and Hill Avenue. In 2016 the shopfront benefited from a beautiful facelift , our way of giving a little present back to the people of Amersham who've been buying presents from us for over twenty years! With a fun and friendly team looking after all our customer’s needs and a fabulous gift wrapping service we would love to welcome you into our store. Any Weekend vacancies are only advertised on the branch door. For details on any other positions available - please check our Store Jobs page.